It’s been a while since we update the blog. We do stay fairly active on either twitter or facebook, though. 🙂 John and/or I will work on keeping this blog updated well enough! 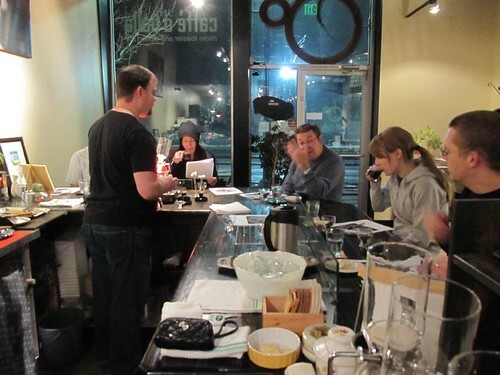 With that being said, we had our first Coffee Tasting Class (Basic) this past Thursday the 2nd. John had been working on structuring and preparing for the class for a while, and he just had to pick a day to start a class. 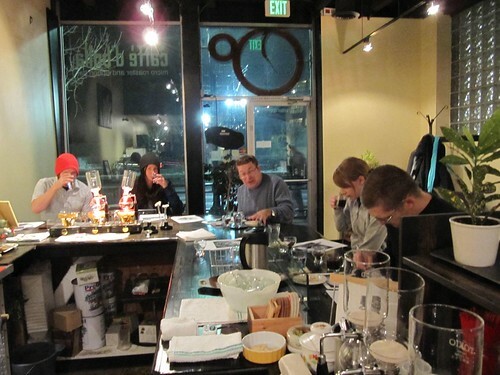 Despite the short notice, 5 of the 6 seats were filled, and it was truly a fun and information-packed session. We will have more classes coming up!